Gold Dust Dental Laboratory, is likely in the minority among dental labs, when we express our excitement at the latest in CAD/CAM technology with the OmniCam introduction, made at Cerec’s 27 and half trade show last week. We’ve had the opportunity to see the camera first hand — it’s precision, cool interface and powder-less abilities make this an awesome digital impression, from what could be seen in demonstration. Clearly accurate digital impressions will create better dentistry in the long run. Those who embrace technology will no doubt be ahead of the curve. As a laboratory that loves high quality digital impressions, we have yet to see the same R&D advancements made with the in lab or chairside mill itself. So while we embrace and applaud digital impressioning, wax and pressed restorations still are the gold standard for marginal integrity, fit and aesthetics. That’s not from a lab’s perspective but from many Cerec owners that are also great clients of Gold Dust. They still send their conservative designs and aesthetically demanding cases to their lab. CAD/CAM technology is cool but to claim that it can produce a better restoration than laboratory fabricated e.Max or Empress restoration — is factually wrong. Or you’re using the wrong lab, who may be milling rather than pressing. Embrace digital impressions. Be very, very cautious of investing in milling technology. There is a reason so many quality laboratories utilize CAD/CAM for wax printing but not restoration milling. There is a reason many people who have bought into Cerec technology don’t use it. It’s simply not as good for the discerning dentist. From a business school perspective, it has fit a need in the marketplace for fast and cheap, but to claim high quality would be just great marketing. We look forward to the time that milling technology meets or exceeds the digital camera technology — that will be a major milestone in dentistry. We applaud Sirona for setting the bar for high quality digital impressions! 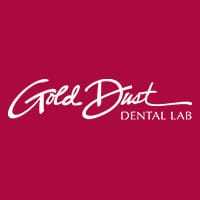 Gold Dust thanks you and all of our CEREC Connect doctors do too!